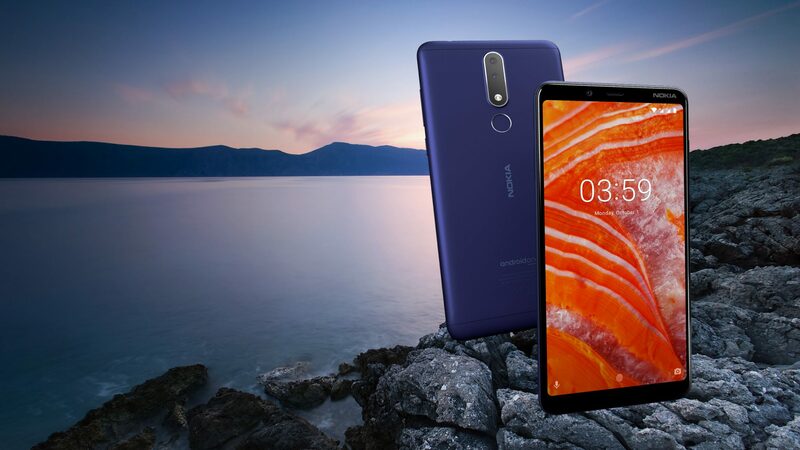 At an event in India today, Nokia launched its new budget smartphone, the Nokia 3.1 Plus. The Nokia 7.1 Plus was previously rumored to launch at the event but looks like it is going to launch in any other event. The 3.1 Plus, as the name indicates, it a successor to the Nokia 3.1, and is the fourth phone from Nokia with ‘Plus’ in its name. The phone comes with a price tag of Rs 11,500, and for that, you’re getting a nice design, a big battery, an octa-core 12nm processor, dual cameras, Android One branding and more. Talking about the design, the Nokia 3.1 Plus comes with a metal back panel with a soft touch finish. As per the various first impressions videos on YouTube, the phone has a gorgeous design and feels solid in the hands. And this is not the first time we see any Nokia device with solid build quality. This is the case with every Android phone launched by Nokia till now. The micro USB port is placed on the bottom with the speaker grill, and the 3.5mm headphone jack is on the top. The volume rockers are placed on the right side with the power button. Under the hood, there is an octa-core 2.0GHz MediaTek Helio P22 processor with 2GB LPDDR3 RAM and 16GB internal storage. The storage is expandable up to 400GB via micro SD card. It is weird that at Rs 11,500, you get Helio P22 in the Nokia 3.1 Plus but you can get Helio P60 with the Nokia 5.1 Plus by spending Rs 10,499 on Flipkart. Maybe Nokia will increase the price of Nokia 5.1 Plus now after the launch of 3.1 Plus. The Nokia 3.1 Plus has dual cameras on the back. So, there is a primary 13MP camera with f/2.0 aperture and a secondary 5MP depth sensor with f/2.4 aperture. On the front, the phone has an 8MP f/2.2 sensor. The phone runs on stock Android 8.1.0 Oreo, and since it is an Android One device, it will get Android P and Q updates in the future. The phone has a big 3,500mAh battery which, coupled with a 12nm processor, stock Android and HD screen, is enough to last a full day on normal to heavy use. The phone doesn’t support fast charging. So, that’s all you get in the all-new Nokia 3.1 Plus. The phone comes in three colors – Blue, Baltic and White. The price is Rs 11,500, and it will be available starting October 19 via offline retail stores and Nokia India’s online site.